The Golden Fifties: The American Dream Cars Collection is Europe's largest collection of American dream cars. But the vehicles of the German economic miracle can also be taken in at the Goggomobil & Co. exhibition. Pure speed: Formula 1 cars; a valuable collection of historic racing cars and powerful motorcycles this comprehensive is only available at the Technik Museum Sinsheim. Included in the combination price: Experience the IMAX 3D movie theatre, with its 600 square metre screen and 22,000 watt sound system! First class accommodations: the 4* Hotel Sinsheim right next to the museum is ready to welcome you. With our package deals you can combine your visit to the museum with luxurious accommodations! 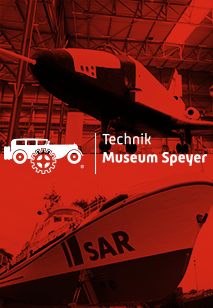 Over 300 classic vintage cars from all eras are presented in the Technik Museum Sinsheim. Everything is represented here, from the beginnings of the automotive industry, with a Model T Ford of those first produced on the conveyor belt, presented by Mors Kettenwagen, through to the modern era like the DeLorean DMC-12. Only at the Technik Museum Sinsheim can you experience the original Concorde and the Tupolev TU-144 side by side. Both supersonic jets are accessible to our visitors! Aston Martin, Jaguar, Ferrari, Lamborghini, Porsche – in our sports car section you can examine the most beautiful cars close up. The action museum: great events are regularly scheduled at the Technik Museum Sinsheim, such as the US car convention, or the large motorcycle weekend. 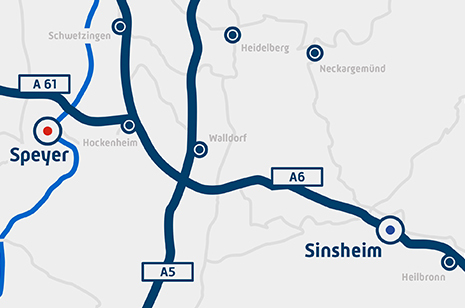 In Sinsheim you will experience numerous locomotives from the past. The collection of historic commercial vehicles and agricultural machines is also unparalleled. The Technik Museum Sinsheim is located directly next to the autobahn A6 between the cities of Mannheim and Heilbronn (Southern Germany) about a one hour drive from Frankfurt. Leave the autobahn at the exit Sinsheim-Süd (Nr. 33b) and follow the direction signs which will guide you to the museum. In direct vicinity of the museum, just a five minute walk from the main entrance, you can find the railway station “Sinsheim Museum / Arena”. The railway timetable assistant of the Deutsche Bahn will help you planning your journey to the museum by public transport. The PreZero Arena (formally known as Rhein-Neckar-Arena), home of the German Bundesliga football team 1899 Hoffenheim, is just a 10 minute walk away from the museum. Sufficient parking places are available. The museum and the IMAX 3D cinema are open 365 days a year and therefore also at Easter! How much time should I reserve for a visit to the Technik Museum Sinsheim? A normal tour of the exhibitions takes about 3 to 4 hours. For technology and vintage car fans we recommend to reserve a whole day for the museum visit. Can admission tickets or ticket vouchers also be ordered by mail? Yes - switch to our ONLINE-Shop on this website and look for the section "Pauschalpakete und Tickets". There you can order tickets and vouchers for the Technik Museum Sinsheim and the IMAX 3D movie theater as well as many other interesting museum items. Can I take my dog with me? Sorry, dogs are not allowed in the museum or the open-air ground. Is the museum accessible to wheelchairs and baby buggies? Most parts of the museum (parking places, restaurant, lobby with ticket office, open-air ground, ground floor of the museum halls etc.) are barrier-free. There are also special sanitary facilities for mothers with babies and handicapped people. However, the upper floors of the museum halls and some of the exhibits, like the aircraft on the museum roof, are not accessible to handicapped people or persons with baby buggies. Can I pay by EC or credit card? Yes, we accept EC cards as well as major credit cards at our ticket office and in our souvenir shop. You can also pay with your EC card in our restaurant (no credit cards accepted there). In the museum lobby there is also an automated teller machine. Do you have lockers for helmets and bags? Yes - in our museum foyer there are free lockers for helmets, motorcyclist equipment, and bags. Motorcyclists groups that need to store a lot of helmets and bags should let the museum ticket desk know - we would be happy to store your equipment in a locked storeroom. Can I take pictures in the museum? Taking photographs for private purposes is allowed in the Technik Museum Sinsheim without limitation. Please feel free to use aids such as tripods and spotlights, as long as their use does not disturb other museum visitors. You are welcome to publish images you have taken and films you have made on your own non-commercial sites, on image sharing sites, or on social sites such as Facebook, YouTube, Flickr etc. I am a journalist and want to report about the museum. I want to advertise a trip to your museum. Where can I find images and texts? We open 365 days from 9am. Today the museum will be open until 19:00 o´clock.